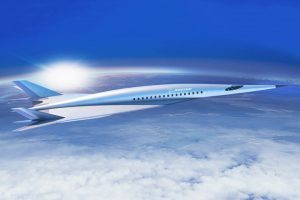 Recently, Boeing unveiled its first concept design for a hypersonic passenger jet. This plane is expected to revolutionize air travel by cutting down a transatlantic flight from New York to London from seven hours to two. The concept was revealed during the American Institute of Aeronautics and Astronautics (AIAA) conference in Atlanta. The jet would have a potential top speed of Mach 5, or five times the speed of sound (6,174 kmh/3,836 mph). But how is the vehicle going to reach these speeds? A type of engine known as a ramjet, a staple of many hypersonic plane designs, is used in the new Boeing plane. The hypersonic jet’s sharp front-end design would produce minimal drag while its split tail would help to stabilize and steer the vehicle. The Boeing concept craft will be on display at the forthcoming Farnborough Air Show this month near London.